Playing Bingo has never been more fun, thanks to the colorful and creative art of Val Chadwick Bagley, the Cartoonist Guy! 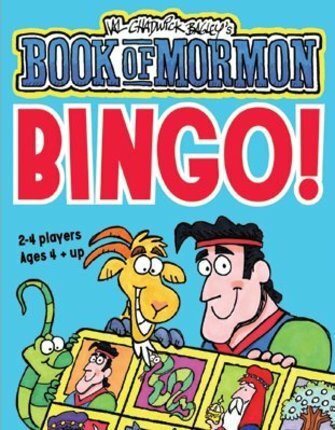 In this new twist on an old favorite, you try to match the Book of Mormon people, animals, or things on your Bingo board with the same item being called out from the Bingo cards. 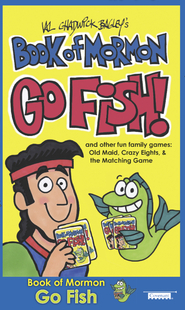 The dual-sided boards and cards let you play a beginner’s version or a more advanced version of the game. And even teens will enjoy the fast-paced competition in the “scripture mastery” variation. Great for family home evenings! Ages 4 and up. We gave this to my 5 year old for Easter last year. The whole family has fun playing together. The cards have 2 sides, one with names/words and the other with only pictures. 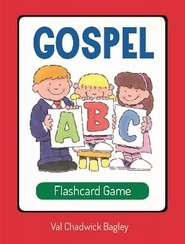 I like that we can use it as a teaching tool - after each card is pulled, we ask who the character is and what they did. It's great when your kids can explain all the different characters from the game. The only downside is that there are only 4 bingo cards, so if you have a family larger than 5 you would need more than 1 set. I highly recommend it!